Homelessness, police surface repeatedly in debate before lontime Portland civic organization. 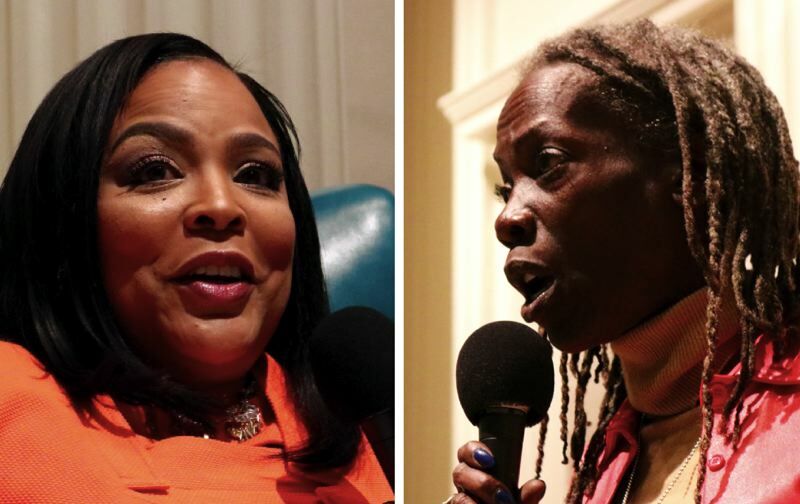 City Council candidates Jo Ann Hardesty and Loretta Smith avoided personal attacks during a tightly controlled debate before the City Club of Portland on Friday that broke little new ground. Moderator Melody Rose, the 15th president of Marylhurst University, mostly kept the questions limited to policy issues that have been discussed at previous campaign forums. The sole exception was when Rose referred to "press reports" that raised questions about both candidates, and then asked what they thought was the public's greatest misconception of them. "That I'm a raving lunatic, jumping up and down on a regular basis. I do my homework, I read the reports ... I have long record of working with people who don't always agree with me," said Hardesty, a well-known activist and small-business owner. Smith, a Multnomah County commissioner in her second term, said, "I have been effective for eight years, passing over 80 resolutions," including an employment program for young people. As in previous joint appearances, Hardesty and Smith split most often on their approaches to the homeless crisis during the Oct. 5 debate. Smith reaffirmed her previous promise to open the former Multnomah County Wapato Jail in North Portland for the homeless, saying it could house hundreds of people this winter who will otherwise be living on the streets. Hardesty criticized Mayor Ted Wheeler for recently talking to Wapato's owner — developer and philanthropist Jordan Schnitzer — about possible public uses for the never-used facility. She also accused police of criminalizing homelessness, citing an Oregonian report that found the homeless accounted for a slight majority of all arrests last year. The two also disagreed over their support of the police. In response to a question, Hardesty expressed a willingness to cut the Portland Police Bureau budget to fund Portland Parks & Recreation programs. Asked the same question about whether she would cut the budget of one general fund-supported bureau to support another, Smith said "no." Smith also said she supported Portland Police Chief Danielle Outlaw's request for additional funding to hire more officers in the current city budget, noting the number of officers has been falling while the population of the city has been increasing. Hardesty responded that although much of the general fund goes to the police bureau, "none of us feel safer." Hardesty also said that if she wins the election, her first action would be pulling the police out of the FBI Joint Terrorism Task Force that includes most federal, state and local law enforcement agencies in the region. She said Portland's participation conficts with its status as a so-called sanctuary city that protects immigrants. Smith said her first action would be to convene a meeting of public housing advocates and public safety officers to figure out how to better get homeless people into services to move them off the streets. "If we don't deal with this issue of (homeless) camping, businesses will be moving out of Portland," Smith said. Both candidates also criticized Portland's unusual form of government, where each member of the council oversees individual bureaus. In almost all other American cities, a city manager supervised by the mayor oversees all bureaus. Smith said she supports a City Charter amendment to change Portland to the city manager system. Hardesty said she would not feel bound by bureau assignments, but promised to hire professional directors. Asked at the end of the debate who they choose to win the World Series, Hardesty said, "Is there a World Series?" Smith replied that she supports bringing Major League Baseball to Portland. Hardesty and Smith are running to succeed Commissioner Dan Saltzman, who chose not to run for reelection. Whoever wins the Nov. 6 general election will be the first African-American woman on the City Council. The race has focused more attention on Hardesty and Smith than they have received in the past. Hardesty has apologized for not registering her consulting business with the state, and has admitted being paid a $10,000 consulting contract by the Portland chapter of the NAACP that was not properly approved by the executive committee while she was president. Smith has repeatedly been asked about a previous Multnomah County personnnel investigation that suggested she had mistreated some staff members, saying it was not accurate. She also recently released a letter from the Oregon Department of Revenue saying that garnishing part of her paycheck for unpaid taxes was in error. More recently, even a joint appearance at an arts and culture candidates forum became controversial. Hardesty apologized for using Baruti Artharee, a former aide to ex-Mayor Charlie Hales, in a prearranged dance performance. Smith had accused Artharee of sexually harassing her in 2013. 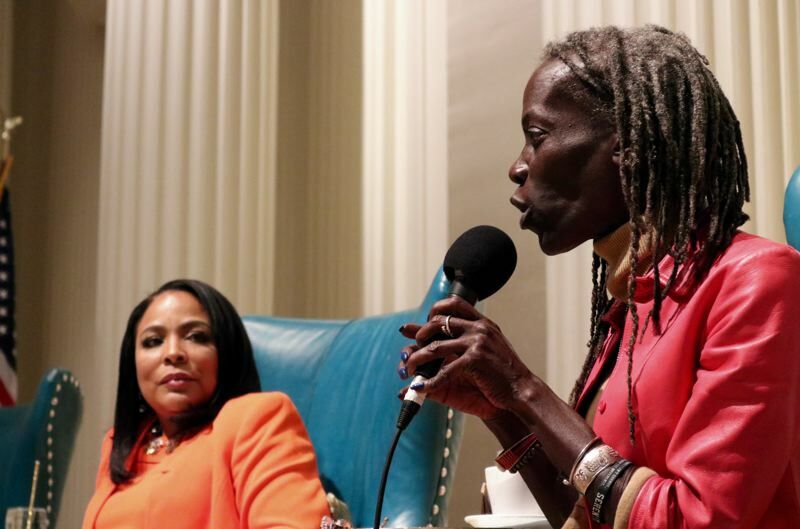 Despite the apology, Hardesty had heard Smith complain about Artharee four days before the forum during a joint interview by the Portland Tribune editorial board.